The first I heard about this collaboration was when I saw Nicolette’s blog post about it.Â I noticed it because – and this is going to sound so so dumb – I forgot that Evans ships to the US (and apparently has a US site now) so didn’t understand how she knew about them! I guess because Â on the US sites I love, shipping to the UK is either insanely expensive or just doesn’t happen at all. Evans isn’t a store that often comes up on my radar – honestly, I couldn’t even tell you where the nearest one was since the one in Broadmead closed down. (Apparently, its either the concession in BHS Broadmead (they do that?) or Cribbs Causeway.) but after seeing some of the pieces from this collection, I think I’ll have to make a trip to the north side soon. I love the dresses, and although I don’t wear trousers so much any more, I love the matchstick print on these. The prices are about average for a designer highstreet collaboration – the dresses are about Â£75 each, and the separates Â£45 each. 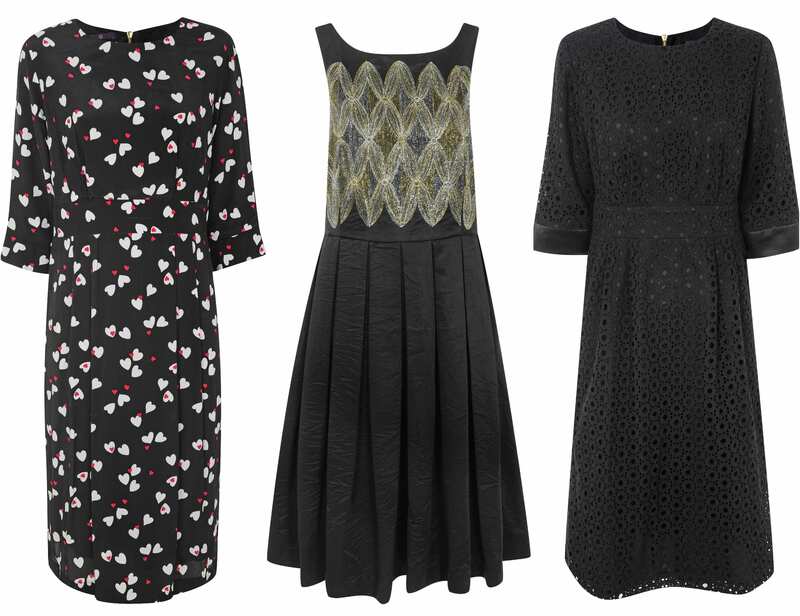 These are lovely, I can totally see you rocking the Betty dresses! Oh these are pretty! I love the Peggy dress – I think it would really suit you!